The Getfurnished.com online store presents its lounge furniture packages for rent. Do you want to equip your short-term accommodation without having to make final purchases or major investments? Renting living room furniture is the perfect solution for you! Take advantage of this innovative service for 1 to 36 months, the time to settle in your home. Then, all you have to do is return the rented living room furniture to us once you no longer need it. 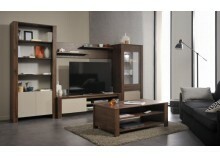 Getfurnished.com offers the most diverse types of furniture for living rooms. Find in our online shop, the furniture perfectly adapted to your style of decoration. 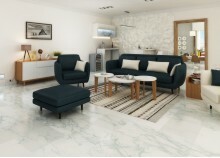 Whether it is a wardrobe, a sofa or a complete set of furniture for your living room, you are sure to find something to be satisfied with. Renting is therefore the ideal option, as it is cheaper than buying and allows you to enjoy your new home with peace of mind. 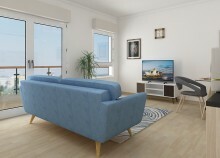 Why rent a furniture pack for the living room? For budgetary or other reasons, it may sometimes be unnecessary or unreasonable to purchase living room furniture. This is the case for people who, for example, occupy an apartment only for a short period of time. In these cases, the furniture rental offered by the Getfurnished.com online store is a real opportunity! - The Price: Whatever your choice of furniture, count on the low prices offered by the shop to rent your furniture with complete peace of mind. - Quality: The lounge furniture available here is selected from the major brands. These are solid, modern items that will enhance your home. - Simplicity: The main advantage of the furniture rental service is its simplicity. In addition, your furniture is delivered quickly as soon as you choose it, without you having to travel. And at the end of the contract, all you have to do is call on the shop's service to have the furniture returned.